What if Back-to-Homeschool Shopping was a thing? Back-to-Homeschool Shopping. A commercially acknowledged event? Like with coupons, store mailers and everything! I’m not talking curriculum. I’m talking supplies. Like traditional school, but so NOT. Who are we kidding? We’d never agree on a month to hold such a thing even if retailers decided to tap into a rapidly growing market. 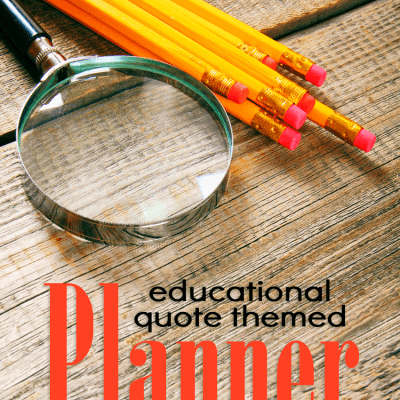 Homeschoolers following regular school calendars would insist on September, weather-minded homeschool folks would want early summer, and year-round homeschoolers wouldn’t fall in line at all. And what would they peddle to us anyway? We’re not falling for the must have backpacks, shoes, and bus-stop umbrellas. Back to school shopping was the only reason I tolerated leaving the house or the pool in the Texas August heat as a child. I remember speed walking lightly to prevent last year’s tennie shoes (i.e. “sneakers” for my husband and anyone else who talks funny) from melting on the black-topped parking lot at our local mall. If I could make it into the mall without melting into blonde gravy, my mom gave my brother and I a specific budget and 2 hours to replace our old shoes and grab a couple of new outfits I hoped would define my coolness on the upcoming first day of school, a phantom holiday. But that’s not all we had to look forward to amassing in the giddiness of the season. Let’s not forget school supply shopping. Remember pencil boxes? The defining handbag of grade school girls. I never had a blinging box perched on my desk, which may have won me the envy we all, well… envied. My box was mostly rectangular plastic in a primary color that pinched my fingers several hundred times a day and never stayed shut. Inside, though, I usually had an eraser shaped like something hip like a hotdog and a pencil that smelled like strawberries, which basically meant I was mid-totem pole on the social scale. But gathering it all in those frantic two weeks before we trudged back to school is a fun memory. I’m not sure if that’s sweet or sad? Get out the way! They’re Back-to-School Shopping! Today, I view back to school shopping through the hifalutin eyes of one who stepped outside the rat race. It is freaking mass hysteria in the supercenter aisles when schools send out the supply lists. Perhaps they should learn to Socialize Like a Homeschooler. And for those clamoring for the right color folders, and exact count of tissue boxes, I wonder, are they excited and eager to get all the things and get back to learning? Or is it just a race to get it before it’s gone? It is an absolute sport for some. The object of the game: Who can get all the items on their child’s list for the lowest amount (2nd number to the right of the decimal). Seriously, I’ve witnessed a mom’s playoff on Facebook. For reals. 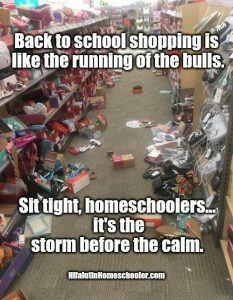 When my oldest two were in public school (for the brief time before my homeschool epiphany), I never played along with the running of the bull-moms at Target. I happily paid for the prepackaged kit to be sent directly to their new teachers. I totally would have paid an extra $20 each and bought the cafeteria ladies hair nets not to have to go on the hunt for 4 blue plastic folders with 2 holes, brads and a cm ruler printed in the margins. I can’t remember my kids doing anything (ever) with those markers we had to have. And the 4 vats of hand sanitizer, well judging by the number of colds, coughs and puke filled nights we endured, I’m not so sure they were used as directed. Flash to the present, as a homeschool mom extraordinaire, who is over it and…ahem…woke? We’ve used the same 3” green three-ringed binders for math for years. I guess this means I’m officially dried out of my childhood induced back to school shopping addiction. My kids have no idea what its like to pick out a lunchbox. We reuse scissors until they won’t cut hot butter, markers until they are dry, and crayons until they resemble those little wax balls the doc had me put in my toddler’s ears when swimming with an ear infection. Supplies sometimes just show up here, magically out of the dust we bring home from the local library. We’ve amassed at minimum 785 bookmarks out of thin air. All the super stores get in on the action and $cha-ching of back-to-school shopping. They fill our mailboxes and T.V. commercial breaks with sales ads and the season’s must-haves in effort to create a blanket of anxiety for parents to get the goods for their kid’s education. Things like light-up shoes and matching environmentally friendly water bottles are adorning what look to be bright, well-adjusted kids obviously on their way to college scholarships. Maybe they don’t know how to market to the unique needs of homeschoolers. First off, they wouldn’t have to open with 6 a.m. doorbusters or anything. We aren’t early risers, collectively speaking. 10 a.m. 2nd breakfast might lure us through the doors, however. Boxed set of printer paper, ink, and a sign to hang warning of serious $$ fines for anyone who prints without permission. Of course, this ad would need to come out at the end of September and again in early February, after we’ve enjoyed the off-season discounts and great end-of-summer weather and winter specials at the best all-but-abandoned vacation spots. 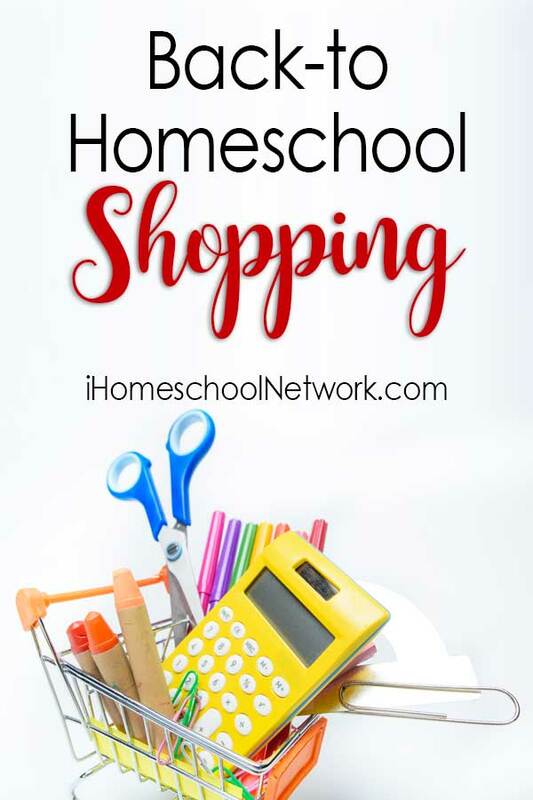 What would you like to see in a Back-to-Homeschool Shopping ad? Jennifer Cabrera is the humorous writer at HifalutinHomeschooler.com and the author of "Socialize Like a Homeschooler, A Humorous Homeschool Handbook." She is the mother of three awesome boys. As a Physician Assistant/MPH, Jennifer unexpectedly fell into homeschooling after butting heads with the public school system and was amazed to discover it was everything she never knew she always wanted to do. 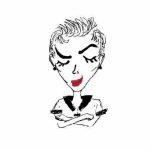 Her writing pokes fun of the highs and lows of homeschooling.